This is the third part of our research of the bookish and literary objects of the fictional world of Game of Thrones TV Series. Find out more here. Disclaimer: to prepare these posts we are rewatching all of the previous seasons of the show. However, at the current moment, we are somewhere in the middle of the fifth season. This post will be updated as we progress into the final season of Game of Thrones. The post contains spoilers! To find out the episode number and timestamp of the scene, please check images’ file names. Some of the screenshots were adjusted to make them lighter and easier to read or to see more details. Sealed letters are an essential part of almost any medievalesque performance. Along with parchments, feathered quills, and ink in the inkpots, they tune the viewer to the desired era practically immediately. However, ways of using these objects and materials are often shown in TV shows and movies in the wrong way. Not at all like they were used centuries before. 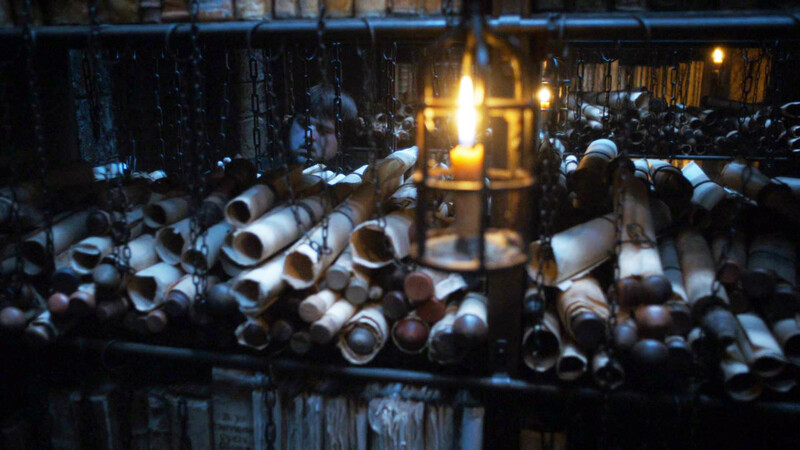 We already ranted about how the characters of Game of Thrones TV series leave their quills in the inkpots all the time. In this post, it is the turn of wax seals and sealed documents. The first misconception is only tangentially related to our topic. But it is worth mentioning anyway because if it weren’t there, there would be almost no reason to complain about the depiction of wax seals in the show. Many of the documents, letters, and short messages are depicted in the show in the form of rolls or scrolls. Even while rolled documents are traditional for some Asian, Middle Eastern cultures, as well as to cultures of Ancient Greece and Ancient Rome, they weren’t used as prominently in medieval Europe. Moreover, scrolls and rolls are bulky and difficult to store and transport. With the spreading of parchment and, later, paper, the most common format of the document becomes a sheet (or a folded sheet). Letters also initially were just pieces of parchment or leather, folded and sealed, without an envelope. By the way, the wax seal on that document looks like a plastic toy from a gift shop. As it was mentioned before, seals were a way to protect documents from being read by unwanted eyes. Of course, a bit of wax cannot secure anything from being unfolded. But it allows seeing whether the document was opened or not. Seals were used at least since the beginning of the recorded history. In 8,000–7,500 BCE the Sumerian agriculturalists needed a way of keeping records. And clay tokens were their solution. With time, it occurred to traders they may use these tokens to impress an image to a surface. Later, with the introduction of writing media differing from clay and wax tablets, seals were transferred to these new materials. Before wax, Romans used bitumen for the same purpose. Every person of importance had a unique personal seal that allowed to ensure the authenticity of the document. 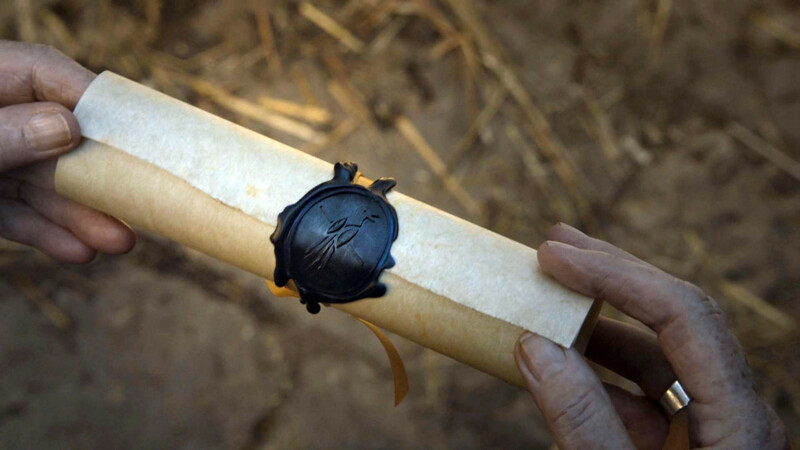 In modern days wax seals are not the same as they were in the medieval times. They are more flexible to endure all the adventures they face while being delivered by postal service. 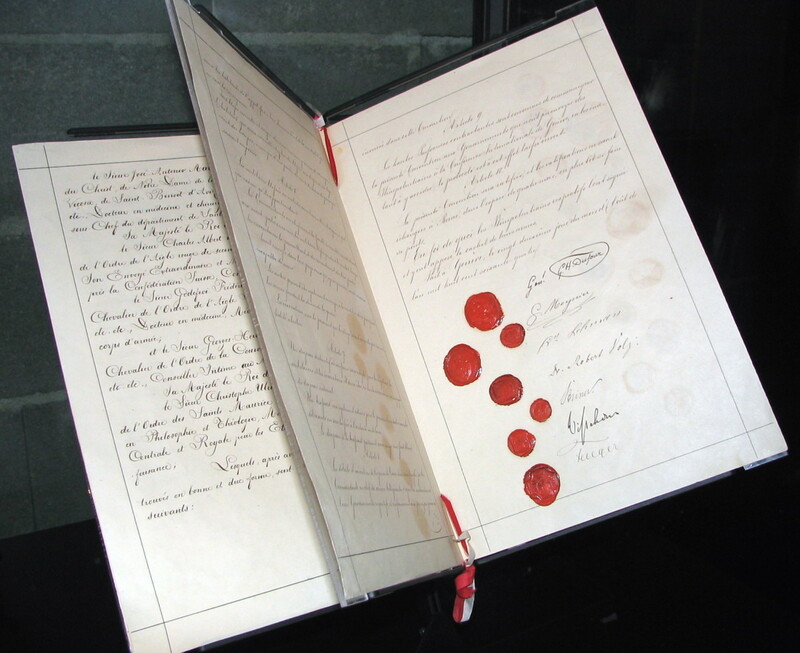 As a security measure to protect the authenticity of the document itself. It is as simple as it sounds. After the document is written, it is folded (and in later times placed in an envelope,) and sealed over the fold. This security measure allowed to be sure that the document wasn’t opened before reaching its addressee. Of course, there were ways to counterfeit the seal or to make the opened letter seem to be properly sealed. There were other ways to protect letters as well. Please check our post about letterlocking to find out more. That’s the most authentic way to seal a letter in a medieval setting. Sealed rolls and scrolls were not uncommon. But they definitely needed more skill to be made than just a simple sealed folded document. And the way they are depicted in Game of Thrones TV series is absolutely ridiculous. They resemble modern graduation scrolls, or something similar. A roll of paper tied with a cord or lace that can be removed, and, what’s more critical, returned to the same place with a smooth stroke of hand! How is that secure? No, if you want an adequately sealed medieval scroll, you have to cut the document in two parts, the part with the text has to be perforated in several places and rolled. Through these perforations, a cord is threaded and sealed with wax or clay. That’s a proper way to make sure that document wasn’t opened. And the visible text is not the only disturbing thing in this still frame. How could you possibly impress a seal without crushing and flattening the roll? The only explanation is that the seal was prepared separately and then glued to the document. 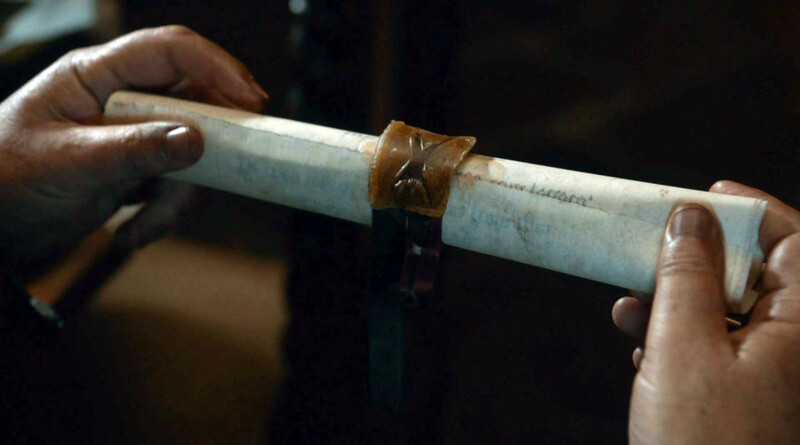 Well, it works for the props department of a TV show, but that’s not a proper way for a real scroll. 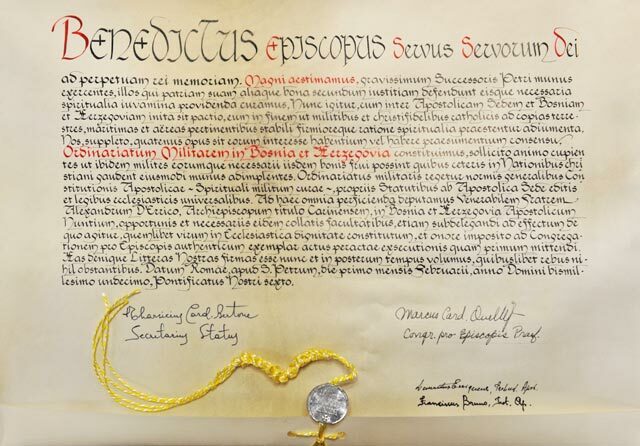 This type of sealing is still used by notaries in many countries. A cord is threaded through a document and sealed with wax or with some more modern type of seal (e.g. sticker.) It resembles a lot the proper way to seal a scroll described above. 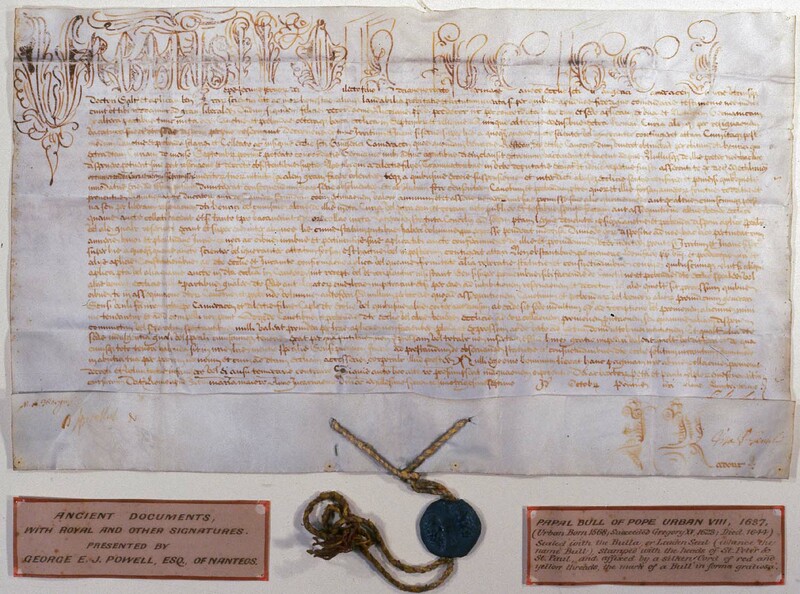 A papal bull of Pope Urban VIII. Part of the George Powell of Nanteos Bequest given to the University of Wales, Aberystwyth in 1882. All seals will be mentioned in the order of their appearance. This is the first wax seal we see in the show. Lysa Arryn writes about her husband’s poisoning to her sister Catelyn Stark. 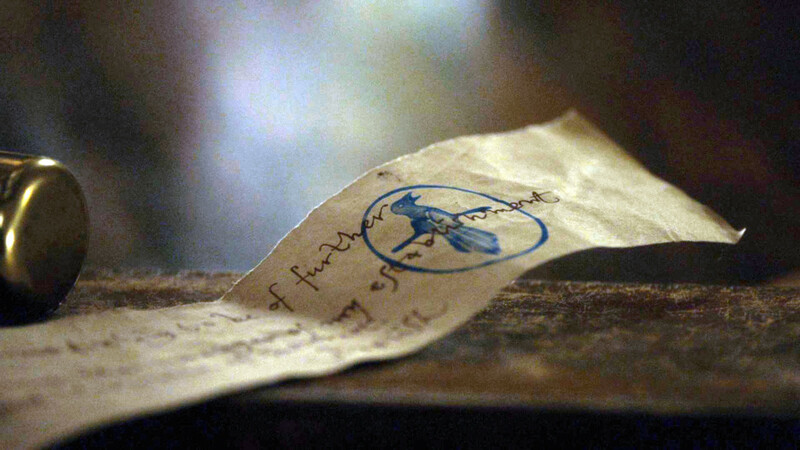 We see the seal with the sigil of Starks several times on messages written by Ned Stark and Robb Stark. 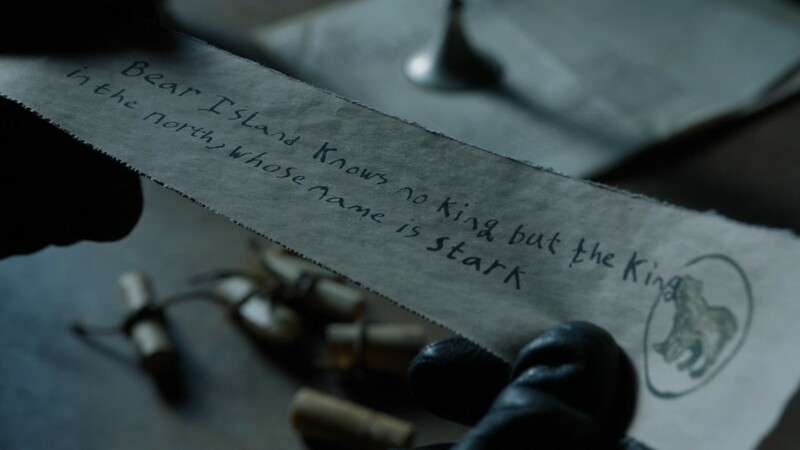 It is used for the first time when Ned Stark writes to Stannis Baratheon about his suspicions on the matter of the King Joffrey’s parentage. 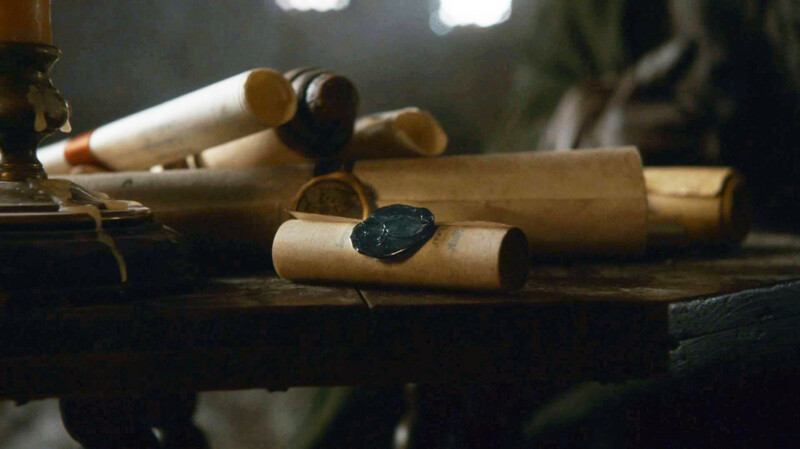 Unfortunately, we do not see the seal (it should supposedly have the stag sigil of the House Baratheon,) but that’s another example of a completely insecure way to secure a document. 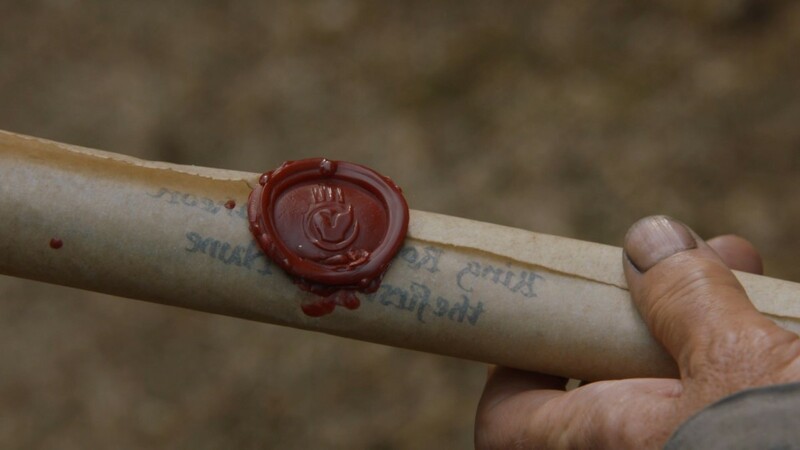 In this scene, Ser Barristan Selmy checks the seal, verifies it is intact, and then quickly takes the cord with the seal away from the roll. I’m sure it can be as easily returned back. We mostly see this seal used by Tywin Lannister. And we see it in action – when he writes some letters and seals them. Check the gifs above. This seal at least looks like it is made with wax, and that it sort of belongs on this rolled letter. The image is not clear, but in the close-up two figures may be seen. They should be the Baratheon Stag and the Lannister Lion. Again, the seal is not seen in the scene but is worth mentioning for another reason. 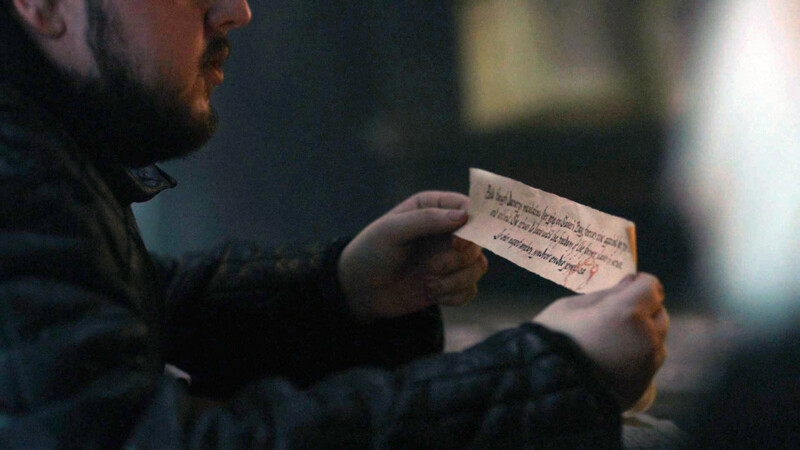 Here Roose Bolton delivers a raven message from Cersei Lannister sent to Petyr Baelish. Petyr complains that the seal is broken. I’m not sure how they put seals on the cylinders in which messages are sent with ravens, but that’s the first mentioning of them being sealed. However, on the close-up, it seems that this time the letter was sent without an enclosure. 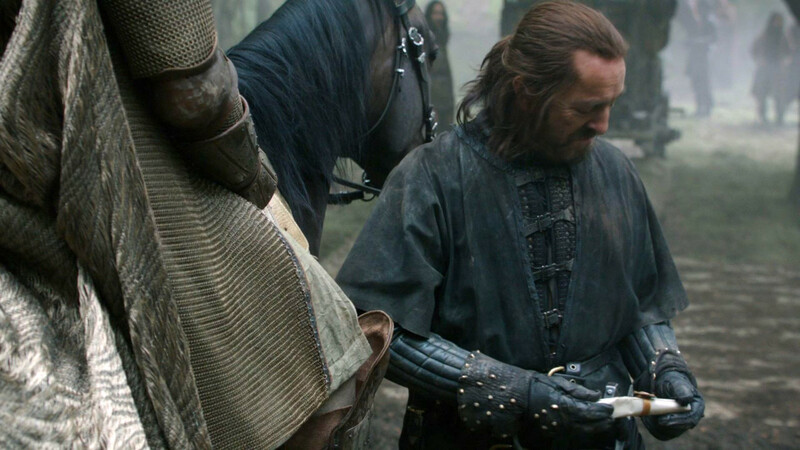 Ser Davos learns to read and checks multiple rolls piled up at King Stannis’ court. Does anyone recognize the sigil? Find more posts about bookish things of Game of Thrones TV series here. As before, this post wouldn’t be possible without the assistance of Eliane Gomes, book restorer and the owner of the Nautilus Boekbinderij in Haarlem, the Netherlands.